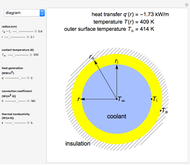 A long tube with a uniform heat source is insulated at its outer radius and cooled at its inner radius , and the one-dimensional, radial, steady-state heat transfer is calculated. 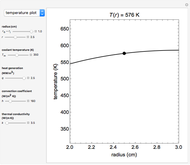 Use buttons to view a cross section of the tube or plot the temperature as a function of the radius. 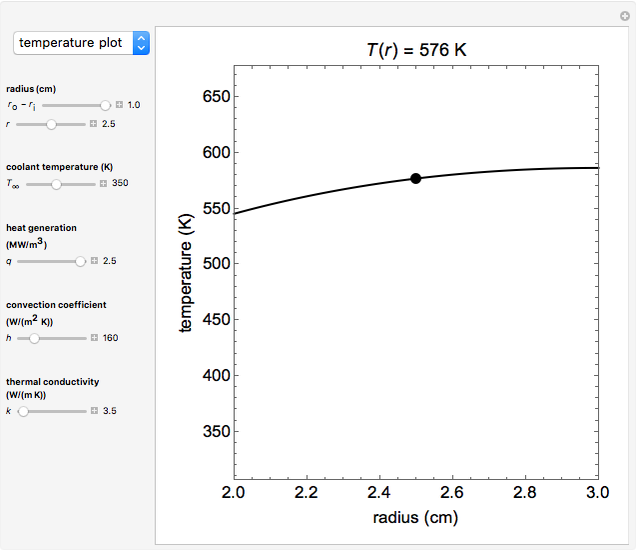 The heat transfer rate, temperature at position and the outer surface temperature are shown on the cross section diagram. 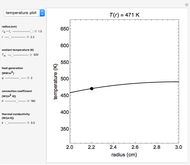 Use sliders to set the coolant temperature, tube thickness , radial position, heat generation, convection coefficient and thermal conductivity. 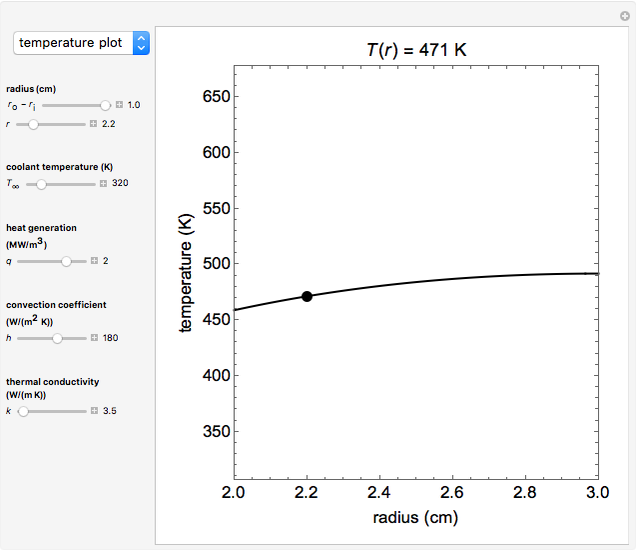 where is temperature, is radius, the subscript refers to the outer surface, is heat generation, and is thermal conductivity. where is the coolant temperature, and the subscript refers to the inner surface. T. L. Bergman, A. S. Lavine, F. P. Incropera and D. P. DeWitt, Fundamentals of Heat and Mass Transfer, 7th ed., Hoboken, NJ: John Wiley & Sons, 2011. 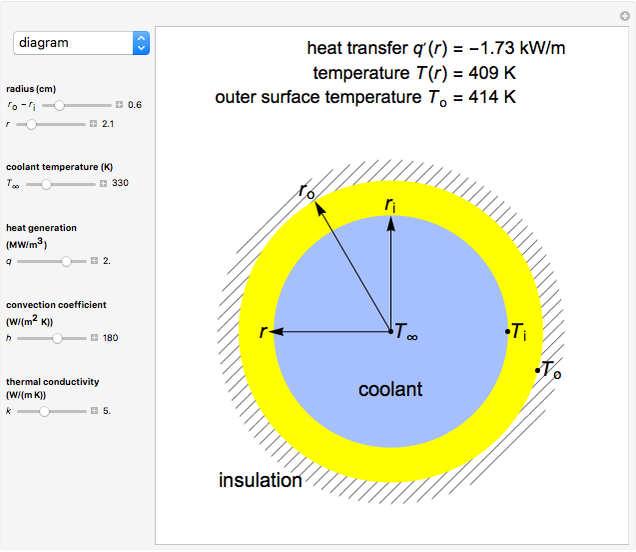 Majed N. Aldossary and Rachael L. Baumann "Heat Transfer through a Cylinder"